APICS Phoenix Chapter - April 11, 2019 PDM: PLEASE JOIN US! April 11, 2019 PDM: PLEASE JOIN US! Speaker: Tony Benedict -is a C-Level Operating executive who has led step-change results in manufacturing-based companies in industries ranging from pharmaceuticals, semiconductors to healthcare. He has been acknowledged for exceptional ability to apply strategic principles, and quickly grasp entirely new industries. He has guided Global Fortune 50 companies such as GlaxoSmithKline and Intel. He is Presently a Partner with Omicron Partners, LLC, a Strategy and Operations advisory firm. 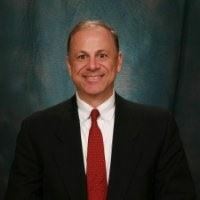 He also is Board Fellow certified active with The National Association of Corporate Directors (NACD) at both the national and local chapter level.